ENVIRO SCREENS AND SHUTTERS, INC., a premier "Green Conscious" company, previously a division of Electronic Business Systems, Inc., and Electronic Security Plus, Inc., Colorado family owned and operated group of businesses since 1974, providing to our Colorado and Nevada customers a variety of products ranging from window treatments, to business/restaurant electronic communication and ordering systems, and security and fire products. ENVIRO SCREENS AND SHUTTERS, INC., provides to our residential and commercial customers Solar Screens, Rolling Shades, Retractable Screens, Rolling Shutters, and Awnings in Colorado and Nevada. Our mission is to reduce energy consumption and rising energy costs for our customers, while providing a much more comfortable and secure environment to live and work in. 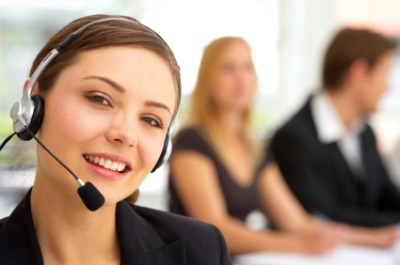 We are the "premier Green Conscious company", and our products are recognized by the United States Dept. of Energy as Exterior Energy Efficient Products. No other company in this product line has made such a declaration, nor strives to provide such a goal. Our goal ... "Reducing your energy bills, one window at a time"! Additionally, Enviro Rolling Shutters is a product line which enhances security systems, the first line of defense at the entrance level of every home and business. Resorts), and state and national parks (such as the Rocky Mountain National Park). Rennie is a female Sheltie/Chihuahua puppy. Rennie, originally named Candy, came to us from a shelter in Tucumcari, NM, at 12 weeks old. Paul, CEO of Enviro Screens and Shutters and Enviro Shades Manufacturing, ran quickly to New Mexico to save this little cutie from a terrible fate. 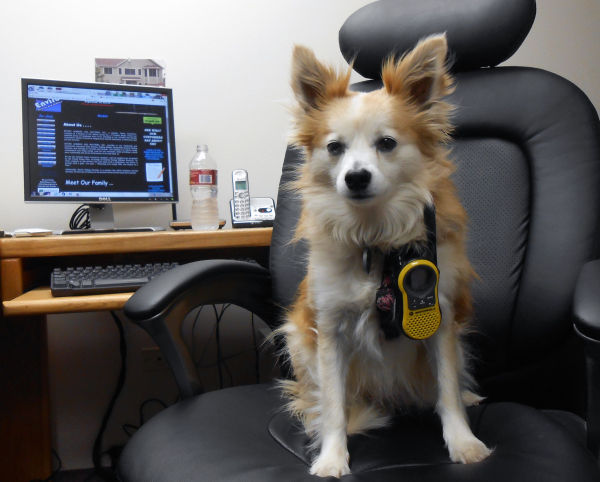 Today, Rennie's days are filled with a lot of play and networking at the office. Her primary interests include playing with her toys which always results in taking long naps in the middle of the day. Rennie is sweet and friendly, but watch out she will lick your arm off! Paul is President and CEO of Enviro Screens and Shutters and Enviro Shades Manufacturing. Paul has been involved with his family's business since 1974, beginning as a 3M dealer for commercial background music and security products. It was from the security division that various security products they manufactured evolved into exterior energy efficient products ... thus the environmental division was born and became known as Enviro Screens and Shutters. During his spare time, Paul works with large animal rescue to help those animals in danger of wildfires. For his involvement in this, Paul trains in wildfire rescue for which he is often called out for. Ken is the man with a plan….sales plan that is. He is the sales force manager for Enviro Screens and Shutters and Enviro Shades Manufacturing. 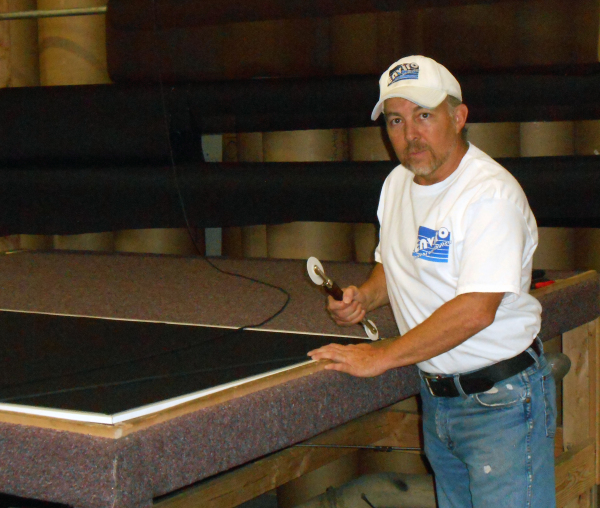 Ken comes to us with years of knowledge in windows and window treatments. He is enthusiastic about the products offered by Enviro Screens and Shutters and wants to spread that passion to others. If you see Ken in your neighborhood or at your door don’t feel shy to say hi…..or even invite him in for some cookies and milk. 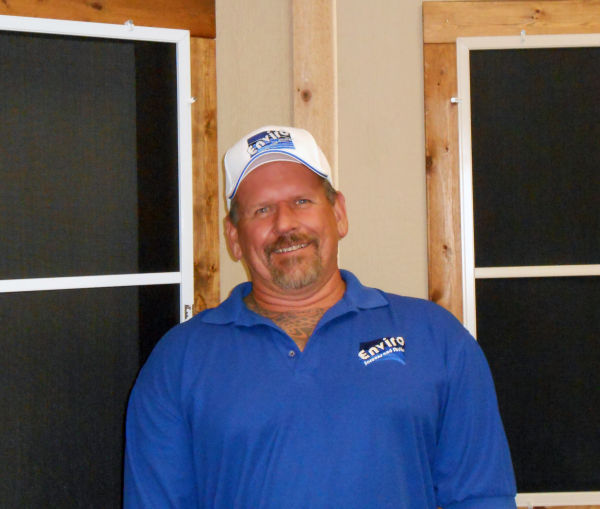 John is part of our manufacturing and installation family and has been involved with Enviro Screens and Shutters and Enviro Shades Manufacturing for several years now. Always on time and eager to work, John loves being part of our family and enjoys meeting new members of our family of customers every single day. 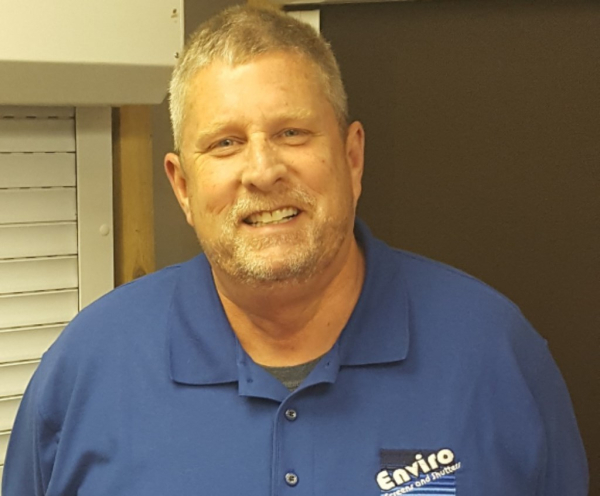 Bill is head of our manufacturing and installation family and has been involved with Enviro Screens and Shutters and Enviro Shades Manufacturing for several years now. 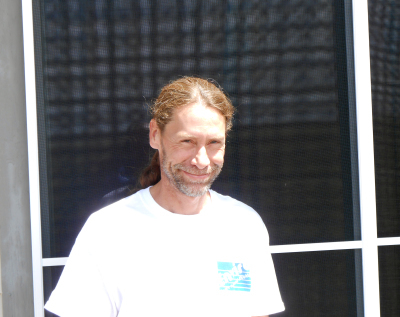 He comes to us from one of our older competitors and has been in the rolling shutter industry for over 15 years, with extensive knowledge in manufacturing, installing and repairing rolling shutters and shades. Always ready for work and looking forward to our extensive growth, Bill loves being part of our family and enjoys meeting our extended family of customers.